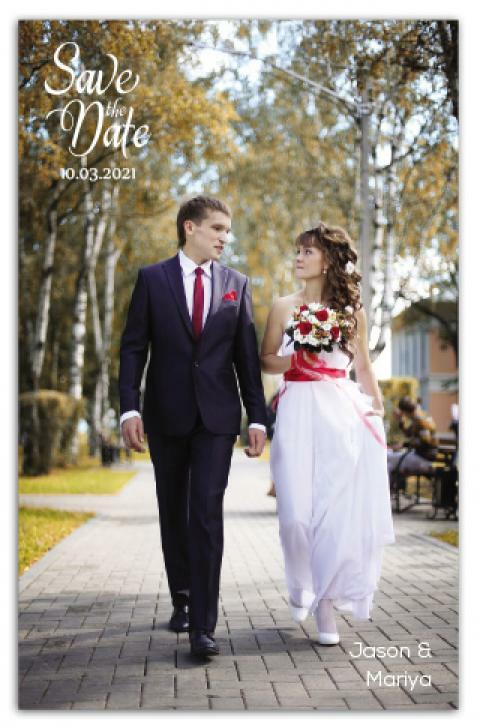 Wedding is always a riot of colors and happy moments and you can take first steps towards that beautiful celebration by sending out large customized 3.5 x 5.5 inch large wedding magnets. We all wish to be surrounded by our family, friends and loved ones on a special day. It is their participation that we value the most and this magnet exactly helps to buy their attention, interests and affirmation. It is more likely that your dear ones may celebrate your union in a special way by retaining this magnet.